There are a number of caves in the Margaret River Region that are open for the public to explore, these are the three that I visited on a recent trip down that way. Jewel Cave is the furthest south of all the caves, about 10 minutes outside Augusta and is the largest of the 'show caves' in the area, with four massive chambers. It also has one of the longest straw stalactites found in any tourist cave in the world. You do need to have a moderate level of fitness for this cave, as there are a number of steps to go up and down into the cave, but it is well worth it. 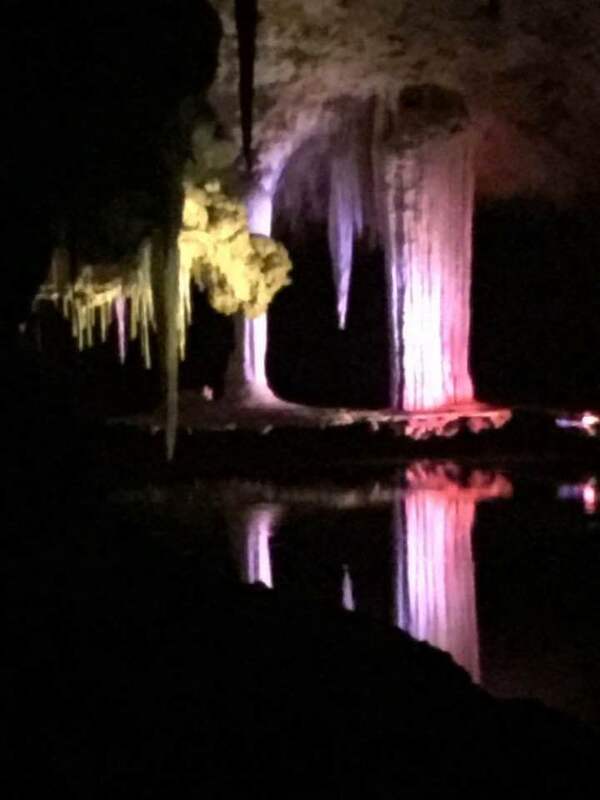 The views in the cave are spectacular with many different crystal formations throughout and even with your guided tour, there's plenty of opportunity to take photos and enjoy the views. The guided tours run daily, every hour from 9.30am with the last tour leaving at 3.30pm. 20 minutes drive from Margaret River's town centre is Lake Cave. Smaller than Jewel Cave, it's the home of the 'suspended table', which weighs several tonnes and is the only formation of its kind in the world, formed when the soil beneath it washed away hundreds of years ago. It's also the only one of the three caves to still have a lake inside it. Entrance into the cave is through a doline, a large hole in the earth's surface, which was created when the original cavern caved in. This cave in helps make this the deepest show cave in the area. The cavern left behind is beautiful and cool, with plant life all around. Tours run hourly from 9.30am til 3.30pm daily. Formerly known as Yallingup Cave, Ngilgi Cave is the most northern of all the caves in the Margaret River Region, less than 10 minutes out of Yallingup. Like the other caves in the area, Ngilgi Cave was created through the corrosive effects of water, which has left behind a nice cave to explore, although there are some tight areas and steep staircases. Tours leave every 30 minutes, starting at 9.30am with the last tour leaving at 4pm daily. If you want to visit these caves you can pay $22.50 per adult for each individual cave, or you can purchase a 3 cave pass, combined with a visit to Cape Leeuwin Lighthouse for $75. Tickets can be purchased from the caves themselves or the Margaret River tourist information centre. All of these caves are found along Caves Road.